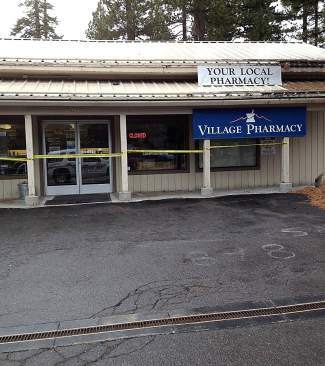 The Village Pharmacy was closed Tuesday afternoon as Washoe County Sheriff's Office detectives investigated an armed robbery. 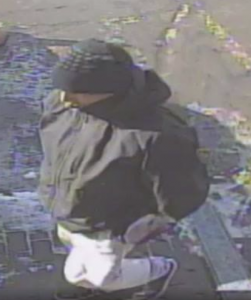 INCLINE VILLAGE, Nev. — Authorities are offering a $1,500 reward for information leading to the arrest and prosecution of a man who robbed the Village Pharmacy at gunpoint Tuesday. The man entered the pharmacy at 898 Tanager St. at about 11:30 a.m. Tuesday and showed the clerk a handgun, said Washoe County Sheriff’s Office Lt. Jeff Clark. Three employees were inside at the time of the robbery; no one was hurt, Clark said. According to the sheriff’s office, the suspect demanded an unspecified amount of pharmaceutical products before fleeing, after which an employee at the privately owned pharmacy contacted WCSO. Clark declined to comment when asked if or how much money and/or drugs were stolen, as the incident remains under investigation. 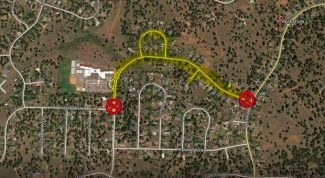 The suspect is described as a Hispanic male, approximately 6 feet tall with a stocky build. Anyone with any information is asked to contact the WCSO Detective Division at 775-328-3320. Anyone who wishes to remain anonymous and earn up to a $1,500 cash reward may contact Secret Witness at 775-322-4900. 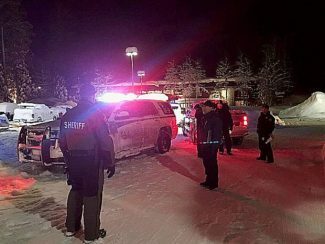 In related news, rumors circulated Tuesday afternoon and evening that other robberies had occurred at businesses in Incline Village. None of those rumors are true, Clark said Wednesday.